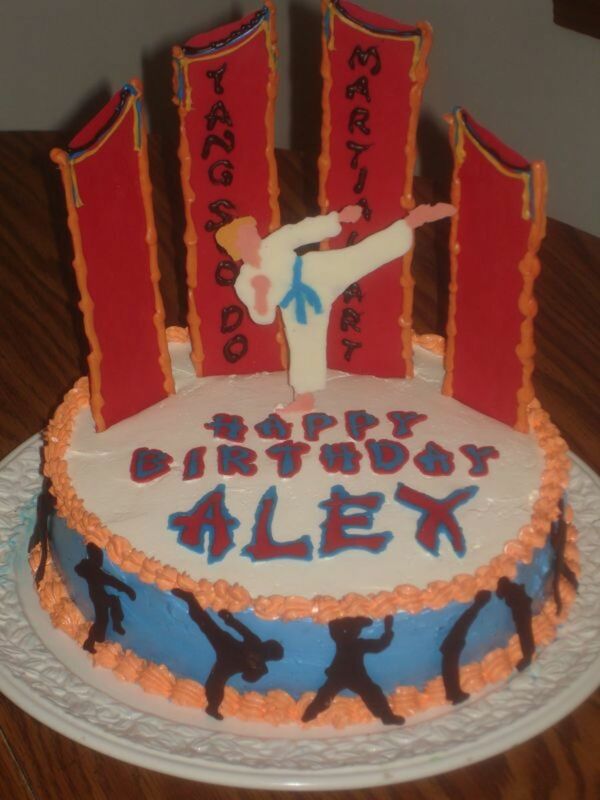 I decided to create this page for all those looking for inspiration and ideas on creating a Karate Birthday Cake and even Karate Cupcakes. 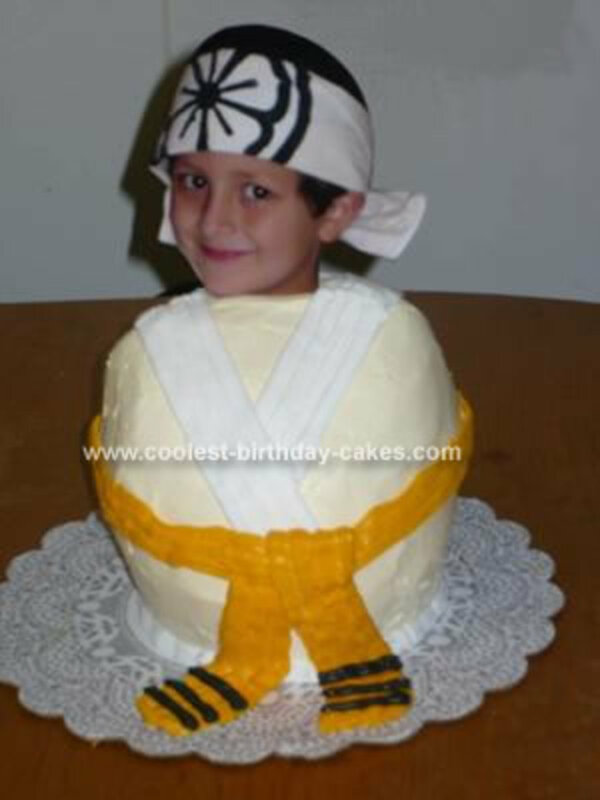 The New Karate Kid Movie is due to release June 2010 starring Jackie Chan and Jaden Smith and I know kids will be asking to have a Karate Birthday Party Theme after seeing it. 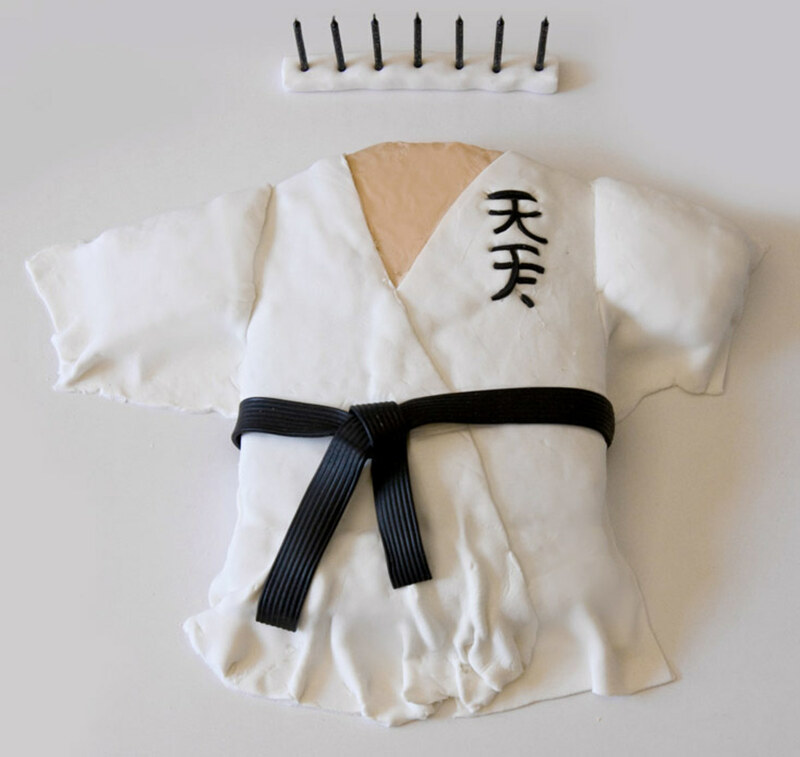 Or maybe your child is big into Karate and Martial Arts and this is their thing - whatever the reason is I am going to share with you some ideas and photos to help inspire you to get into the kitchen and bake a cake that will be perfect for your occasion. 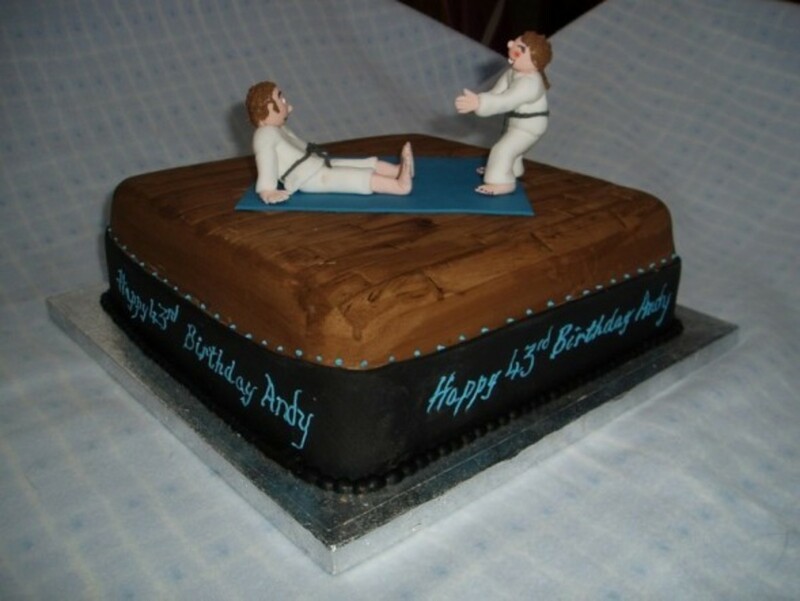 Are you here looking for Karate Birthday Cake Ideas? 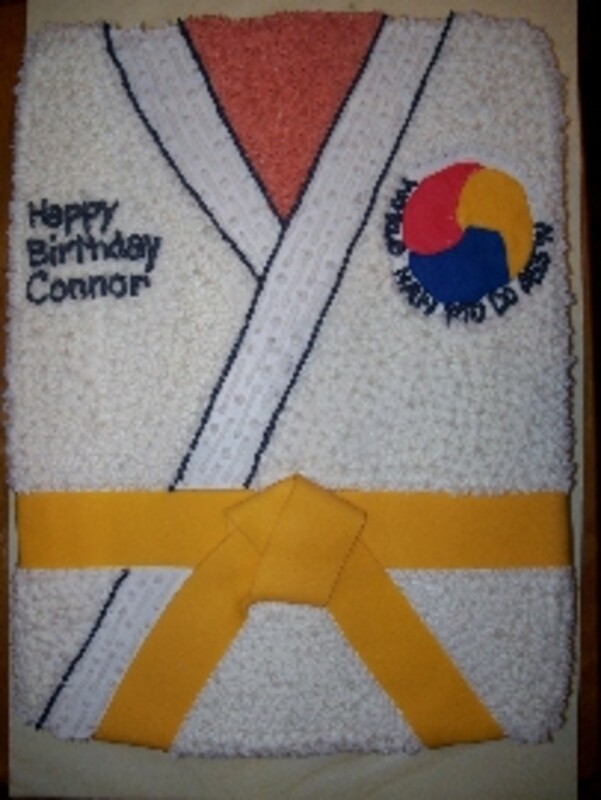 I am dedicating this page to my nephew Joe who has spent many years in Taekwondo. 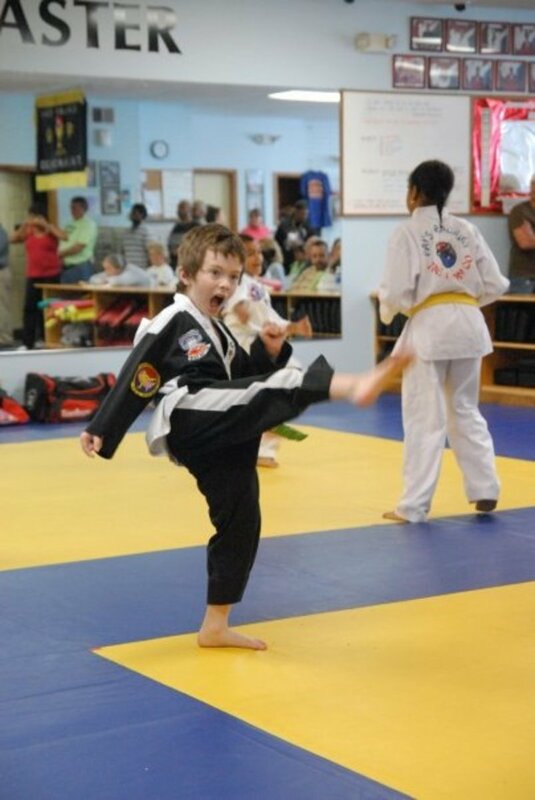 He is dedicated and works really hard at perfecting his skill.When he first started up it was to help him with his coordination and then he fell in love with it. 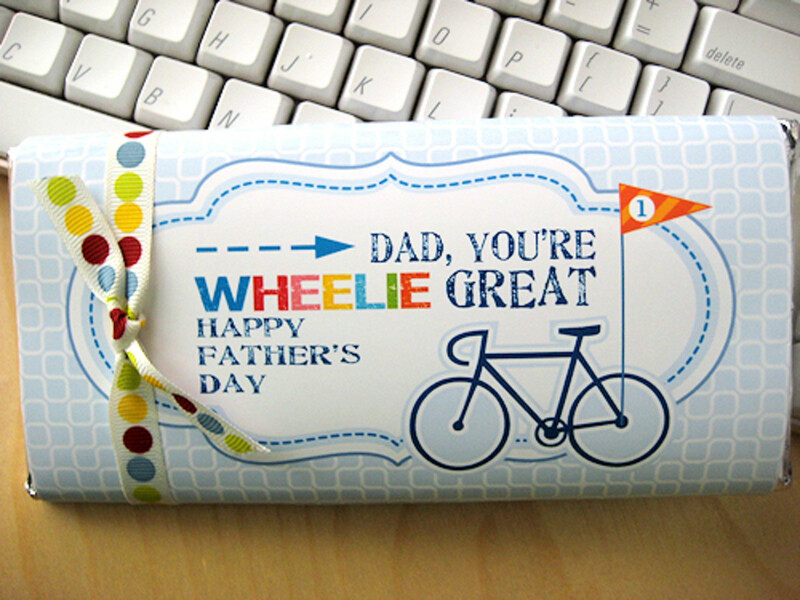 It has helped him tremendously in many ways and I am a proud Aunt. 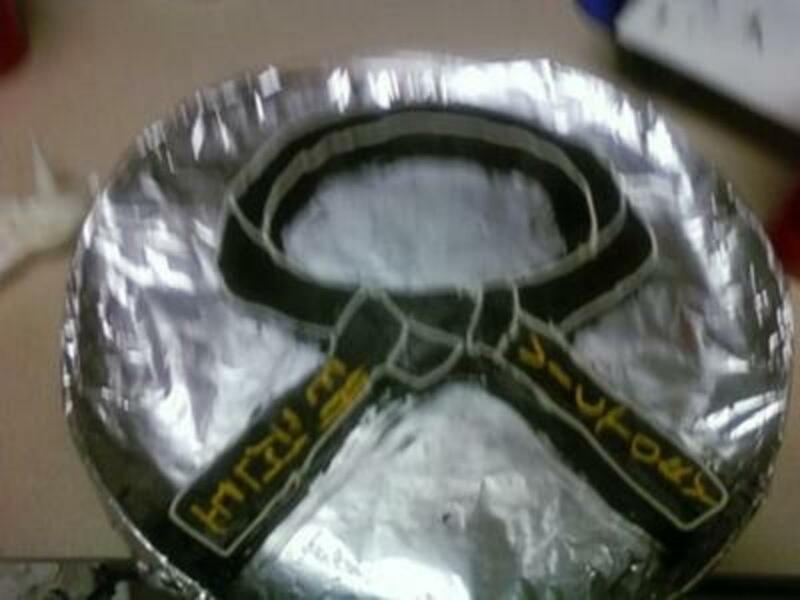 Currently at the time I am writing this he is on his way to a Brown Belt. Unfortunately he does not live that close for me to go and watch him in action, but I am lucky that my brother is a photographer and sends me a lot of photos to see. 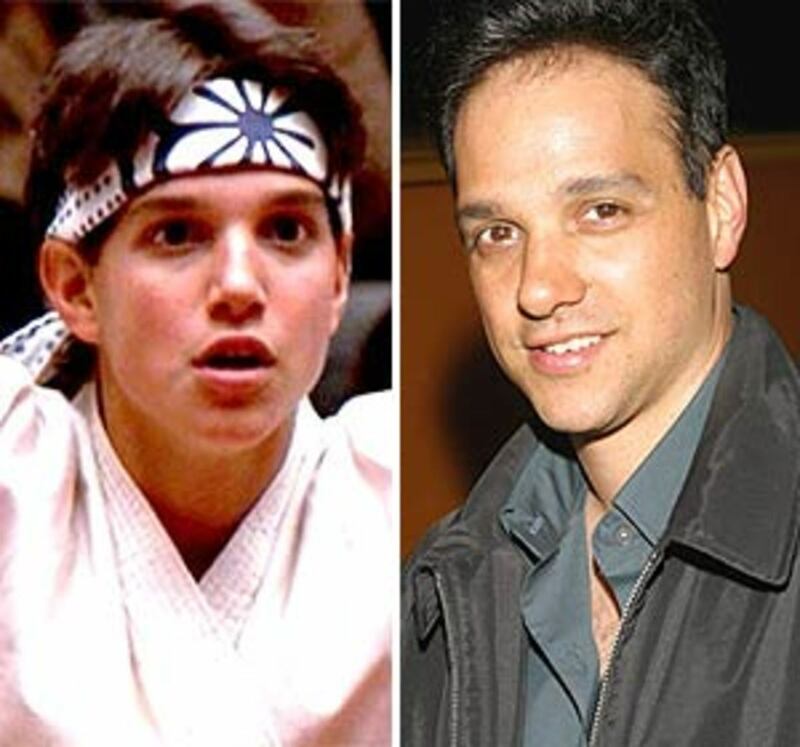 So way to go Joe and all the others who spend countless hours practicing and working hard to achieve their goals in Martial Arts!!! 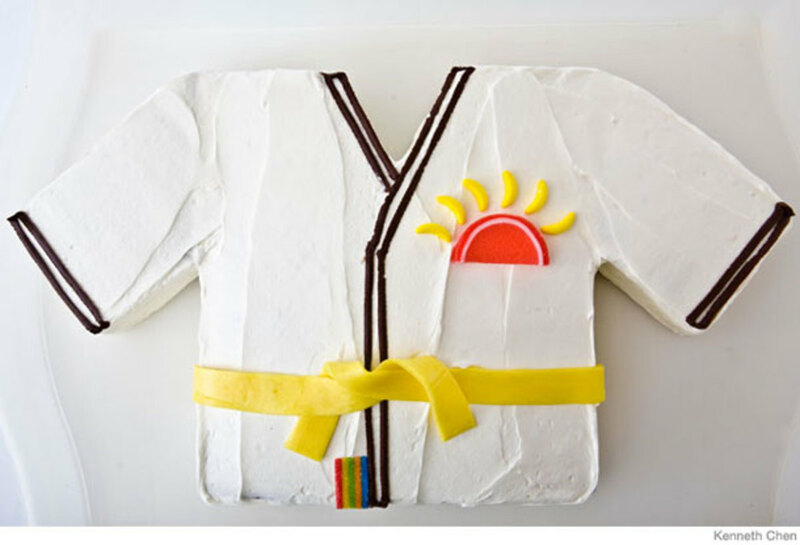 How to make a martial arts jacket birthday cake with yellow Starburst. 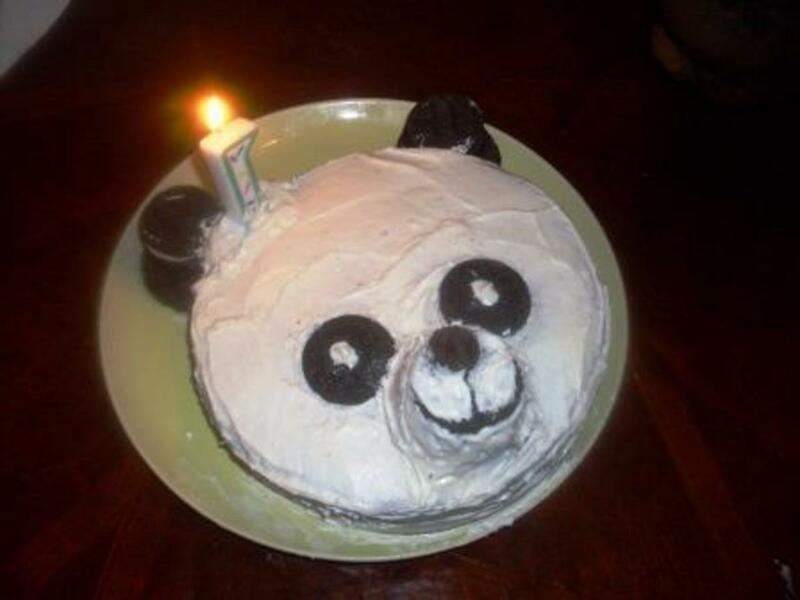 Easy, step-by-step recipe and pictures. 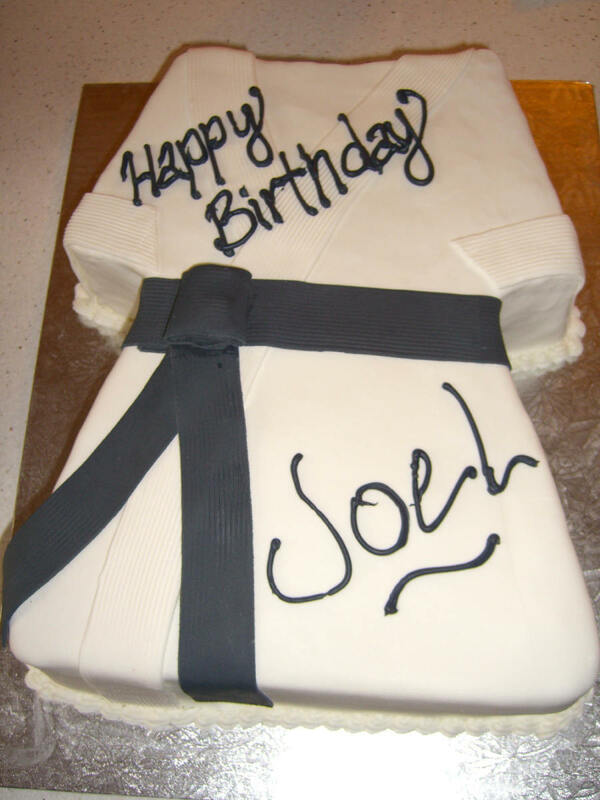 As you can see from the ideas to the right there are many Edible Karate Cake Designs you can add to the top of your baked and frosted cakes. 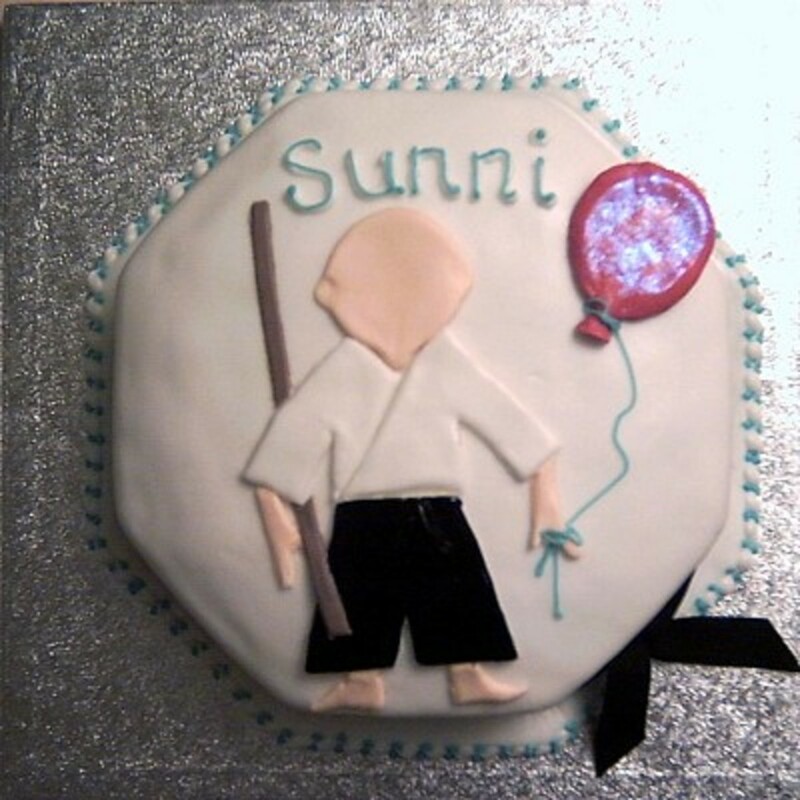 They are simple and easy to use and you do not need to be a cake master to do it either. 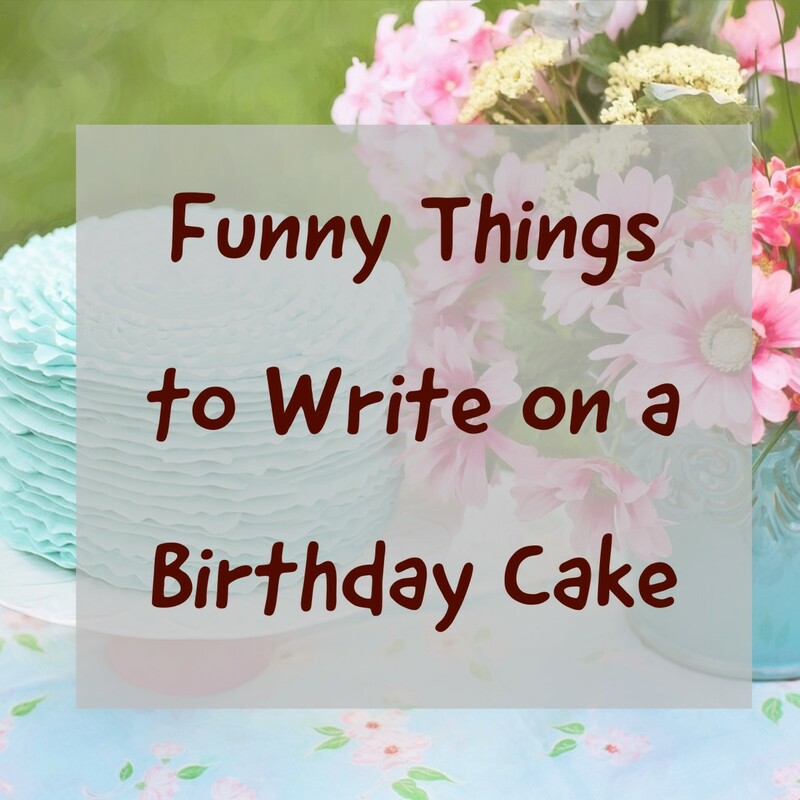 Simply bake and frost your cake and add one of them right to the top. 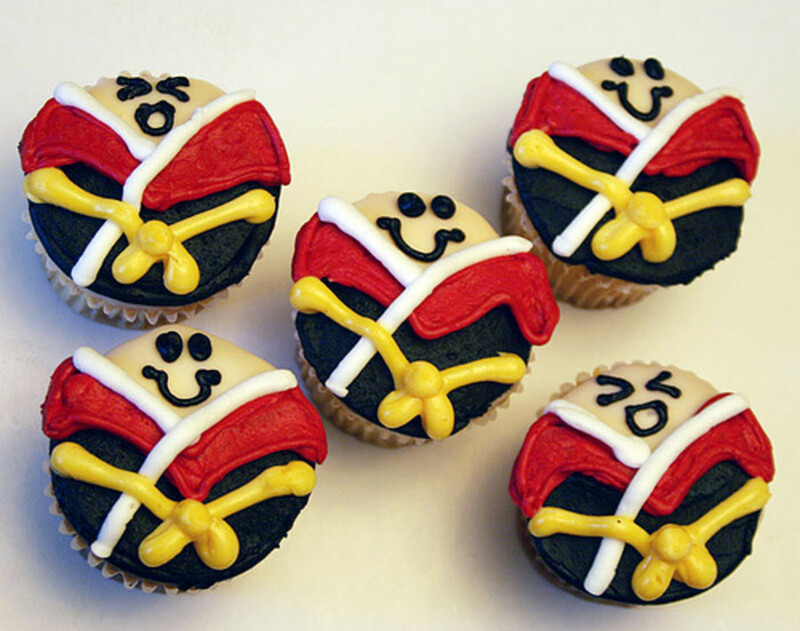 Then you can add an edge around them if you like using icing or even some fun candies such as M&M's, Skittles etc... So Easy right? 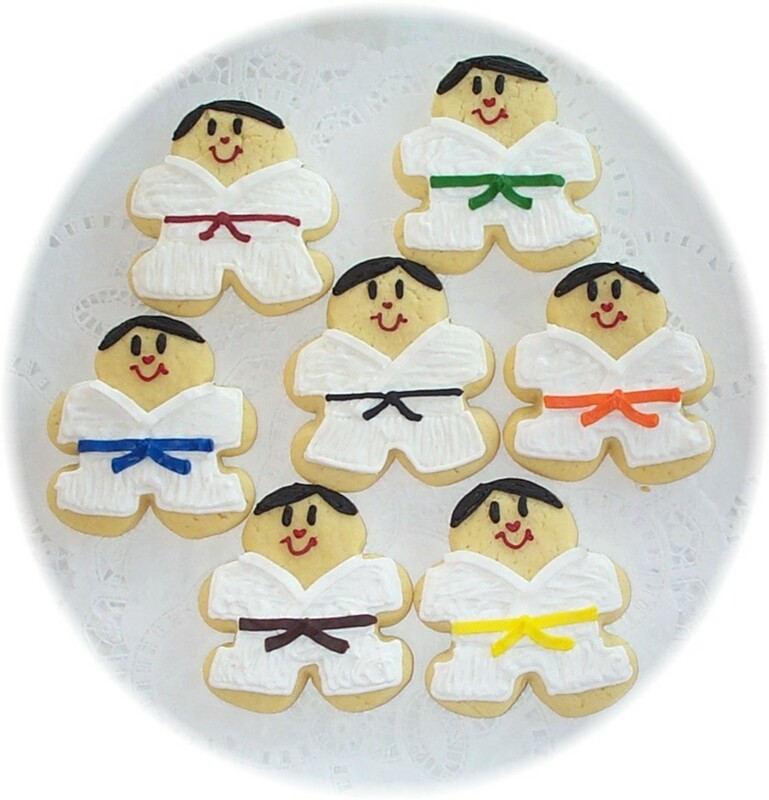 For an even easier idea for your Karate Cake and Cupcakes simply use some of the many Karate Toys out on the market. 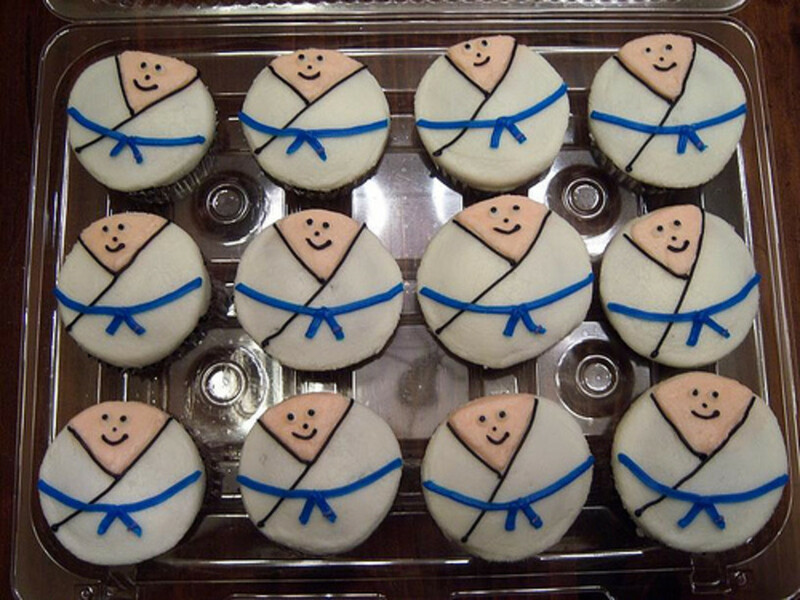 Just bake and frost your Cake or Cupcakes and add a Karate Toy on the top. 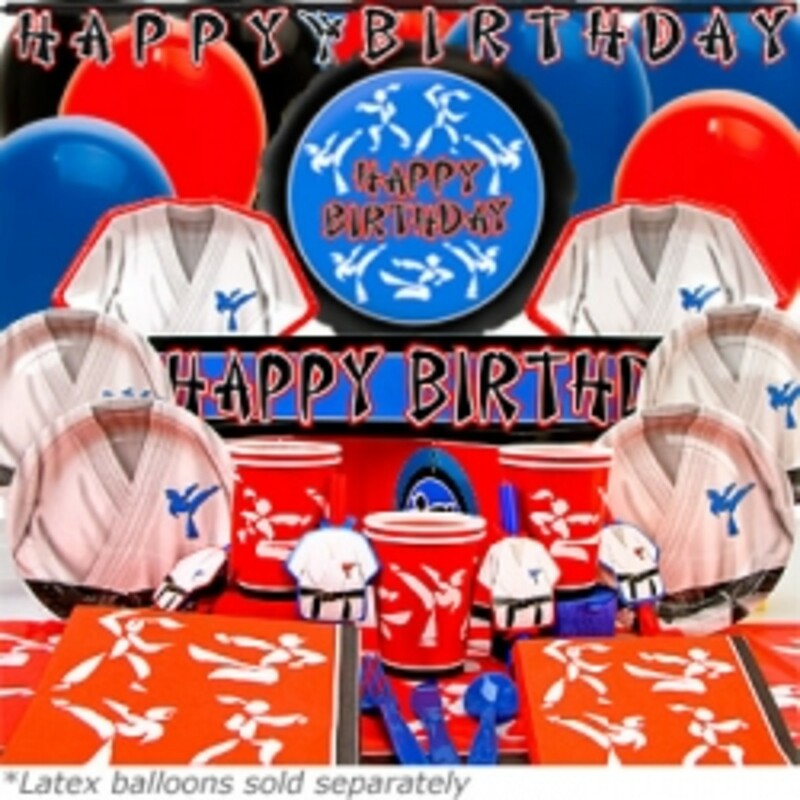 Not only will these be very simple, but the toys on the top will be an extra goodies for your party guests to take home. 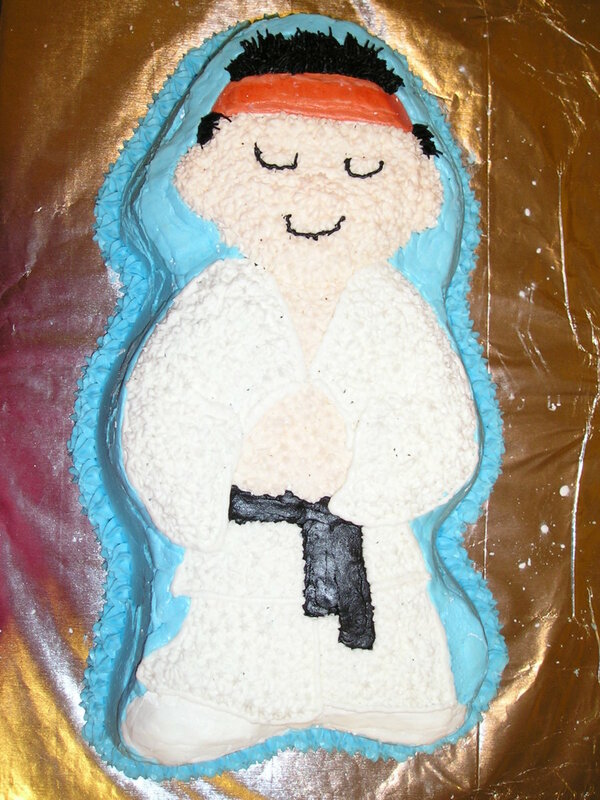 Kids will love to lick the extra frosting off their treasures too !! 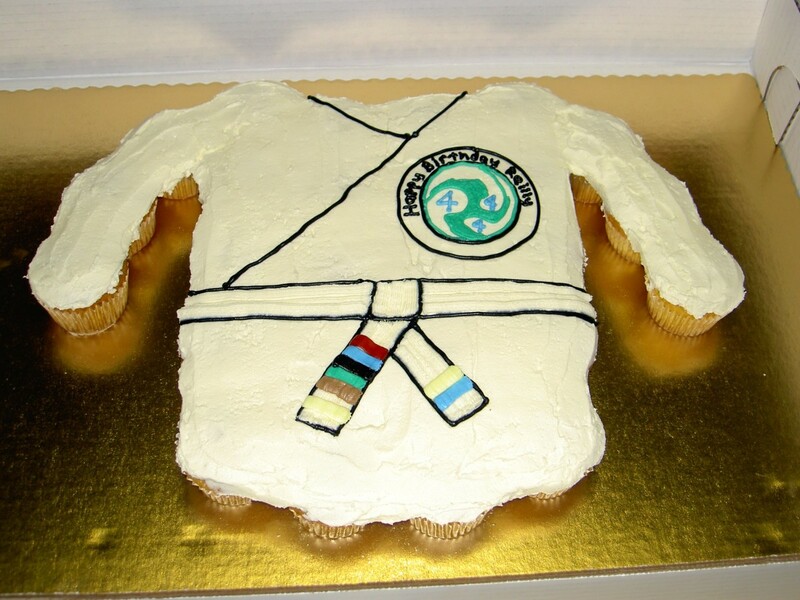 Really cool ideas for custom birthday cakes and cupcakes. 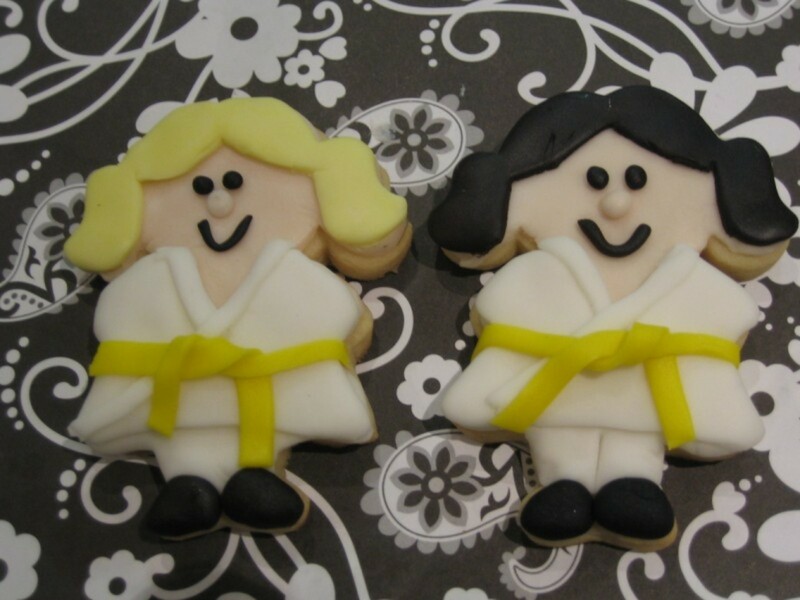 My wife is a baker and has made many character cakes over the years but so far no karate ones. Thanks for sharing.